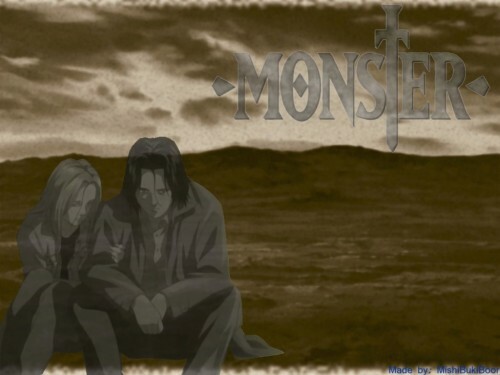 Well, I love the series "Monster" and I've looked for wallpapers for a while now, and since there have only been a handful, I decided "Fine, I'll just make one myself." When I was finished with this one, I was pretty pleased with the results and although its a pretty plan & easy-to-make wallpaper, I thought I might as well post it. Tell me what you think; comments are welcome. and the "final scene" in the background is a good idea! sweet! I love monster! Thanks for sharing!